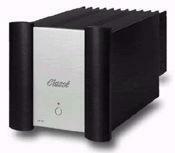 What could be easier to review than a power amplifier? No features or functions aside from inputs, outputs, and a power switch. So when Jonathan Scull asked if I could help out by taking on the Rotel RB 1080, which another reviewer hadn't been able to get to, I accepted the assignment. Before I could click my heels and say "FedEx!" twice, Rotel's 200Wpc RB 1080 had appeared. If your audiophile habit goes back more than a couple of decades, you're probably doing a double take looking at the Smart Devices 2X150VT. Looks like a Hafler DH-200, doesn't it? 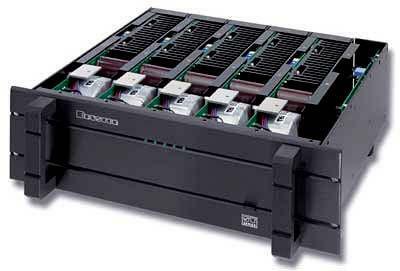 That's because, at its core, a Hafler DH-200 is exactly what it is. Smart Devices doesn't name names in its brochure, but they do say that "You may recognize this amplifier as one of the dominant premium performers of the 1970s and '80s"—a reasonable enough description of the MOSFET-output DH-200, which combined outstanding sound with a very reasonable price—especially if you built the kit. While walking home from the office the other day I passed a gleaming, perfectly detailed Harley-Davidson, lightly customized, as many are these days. I didn't stop and drool, but I couldn't unsnap my eyes from it. As I drew parallel to that hawg, a Ricky Martin look-alike threw his leg over the saddle and thumbed the starter. No, you don't have to be a tattooed, beer-gutted redneck anymore to rear up and slam down on a kick-starter of one of those beasts. These days, it's all done with the push of a button. Dude. Keith Herron plopped himself down in my listening chair and smiled, clearly pleased with the sound of my system now that his M150 monoblock power amplifiers had been substituted for my Musical Fidelity Nu-Vista 300. He began to tell me why. 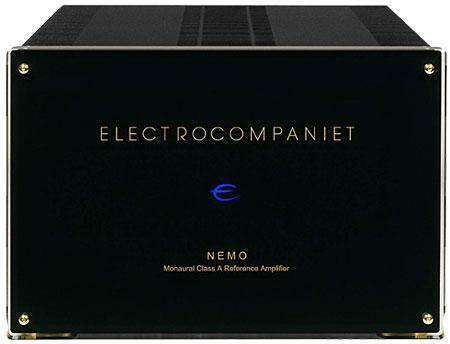 The word on Bel Canto's upsampling DAC was already out when I visited their room at the 2000 Consumer Electronics Show looking to get one of the first samples. But despite my protestations, all Bel Canto's Mike McCormick wanted to talk about was their company's new digital amp, the eVo 200.2. Sure, there's a future out there in which all sources will be digital and D/A conversion will occur in the speaker (or later?). 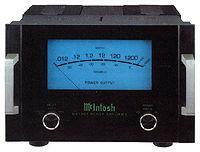 But today, I see no practical advantage in a digital amplifier with only an analog input. 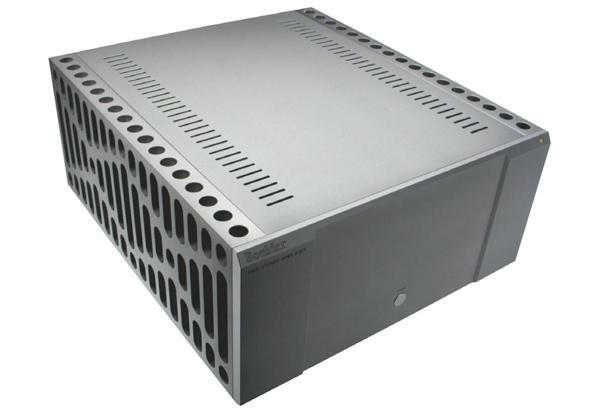 It may be more efficient and it may be new technology, but the amplifier has got to stand on the same footing as any analog design and justify its existence by the way it sounds. The eVo did make a good case for itself at the demo, so I signed up to get one for review. "Be careful what you wish for, or you just might get it." Back in 1992, Robert Harley's Stereophile review of the McCormack DNA-1 and Parasound HCA-2200 amplifiers (April 1992, Vol.15 No.4) and the accompanying technical measurements piqued my interest. So, with great curiosity, I arranged to borrow a DNA-1 to audition, along with competitive amps from Aragon, Bryston, and PS Audio. They were all a leap ahead of my Adcom GFA-555, but it took an act of great courage to accept that, despite its less-than-stellar measured performance, the DNA-1 was my favorite. The bottom line was that the DNA-1 excelled at driving my Apogee Duettas to make lively and harmonically pure sounds. I bought my McCormack DNA-1 amplifier before I began reviewing equipment for Stereophile, and it still occupies an honored place in my system. Bright April Sunday sunshine beams through the bay window of my listening room. The light catches four loudspeakers on stands, two stacks of electronic equipment, a small video monitor, black cables strung behind furniture, and a pile of freshly opened DVDs. I sit in the center in a large, overstuffed chair covered in blue velvet, listening to an array of six loudspeakers and a TV monitor playing The Haunting's DTS soundtrack. The floor rumbles as the sounds of creaking timbers come up from below. With its latest series of FPB (Full Power Balanced) amplifiers, Krell is taking careful aim at the seam between classic high-power two-channel systems and quality multi-channel installations where sound is yet paramount. 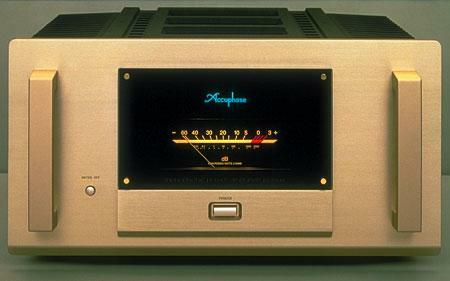 Nevertheless, Krell founder Dan D'Agostino was adamant: Krell's Class A components were designed for music playback. "I'm a purist, like you, Jonathan!" he told me. In his 20,000 Leagues Under the Sea, Jules Verne presents the enigmatic Captain Nemo, commander of the great submarine Nautilus, as powerful, charismatic, and mysterious. On first meeting Nemo, the narrator, M. Aronnax, notes, "I made out his prevailing qualities directly: self-confidencebecause his head was well set on his shoulders, and his black eyes looked around with cold assurance; calmnessfor his skin, rather pale, showed his coolness of blood; energyevinced by the rapid contraction of his lofty brows; and couragebecause his deep breathing denoted great power of lungs." All in all, "this man was certainly the most admirable specimen I had ever met."